ASLIA will hold a Special General Meeting (SGM) to propose adjustments to membership fees in accordance with the ASLIA Constitution Part 2: Section (2.3) to pass two resolutions related to membership fees. The intent of these changes are to ensure the financial viability of ASLIA. The ASLIA Board moves that ASLIA annual membership fees are increased to $120 for Associate Members, $150 for Ordinary Members and $300 for Corporate members. The ASLIA Board moves that the disbursement of membership fees be 50% to national and 50% to state associations. Rationale and background information for the above resolutions can be downloaded here. Members are required to advise their presence in person at 69 Phillip Street, Sydney (NSW) prior to the commencement of the Special General Meeting. Your name will be recorded on the Attendance Sheet. If you are an Ordinary Member or an Honorary (Ordinary Member), you will need to register your intention to vote. Refer to (d). This online link will be available at 7.35pm on 20 June 2018. If you wish to participate and vote in the meeting, you will need to attend by 8.00pm AEST. Please text your name and state to 0402 266 954 (ASLIA Manager) to be recorded on the Attendance Record. If you have a query or comment, you can use the chatbox function on the Zoom platform. Monitor/s will relay any queries to the Chairperson. If you as an Ordinary Member or Honorary (Ordinary) Member are unable to attend the Special General Meeting in person or online, you can nominate a Proxy to vote on your behalf. A proxy shall be a member of ASLIA who is entitled to vote at the meeting for which the proxy is given. You can download the Proxy Form here. The ASLIA Manager or ASLIA representative will make arrangements with your nominated Proxy to ensure your vote is counted. This section is for Ordinary Members and Honorary (Ordinary) Members only. Members using Proxies need not do anything – refer to (c). 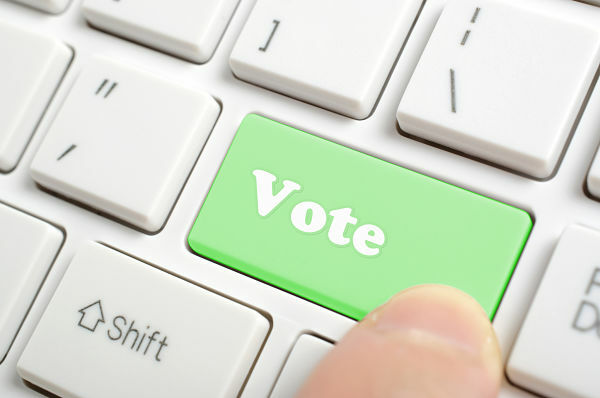 All voting will be conducted by utilising a web-based SMS, called SMSTech. To register yourself with SMSTech, you need to text your name and state to 0438 476 035. We suggest you do this as soon as you get this notice and receive confirmation of your registration. When the Chairperson presents the motion for voting, you will receive a text message (SMS message) from SMSTech. You will have 15 minutes from the time the motion is proposed and seconded to cast your vote. You will be prompted via SMS to cast your vote. Provided you are registered (see above (d)), you can text your vote by replying with the following words to indicate your vote ‘yes’ (agree with the proposed motion), ‘no’ (disagree with the proposed motion) or ‘abstain’ (do not wish to vote for or against). All received votes are automatically date and time stamped. Votes received after the 15 minute voting window has closed will not be counted. f) What happens to the votes? Scrutineers will be appointed who are not ordinary ASLIA members to monitor the incoming votes on SMSTech. Scrutineers will mark off the votes on a prepared tally sheet. Scrutineers will monitor for any duplicate votes by the same registered member or any unregistered votes. The scrutineers will inform the Chairperson of voting results. Details of the voting results will be emailed to all ASLIA members once votes are verified.